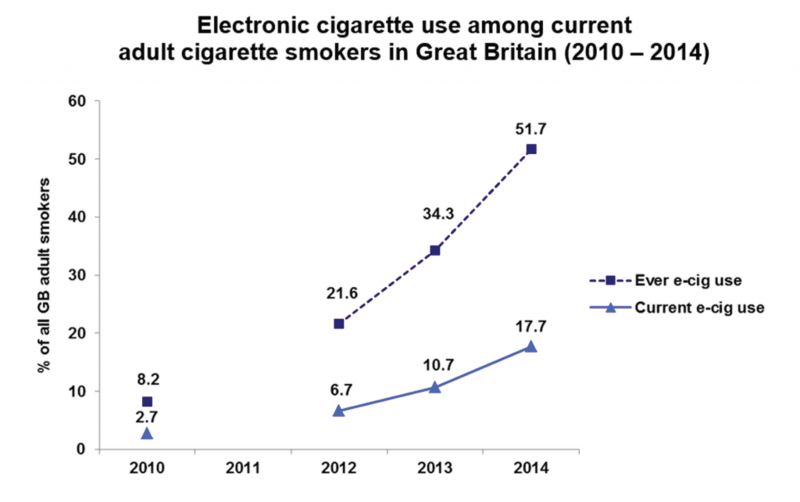 E-cigarettes and harm reduction: where are we now and what next? Smoking is England’s biggest killer, accounting for nearly 80,000 deaths each year as well as a heavy toll of illness. We have made great strides in recent years in driving down the number of people smoking – it is now just under 20 per cent of adults – and I am determined that Public Health England deploys all available levers to continue this progress. Our aim is ambitious: to achieve a tobacco-free generation by 2025. Our advice to smokers remains to stop immediately, completely and permanently. A combination of licensed medication and professional support increases the chance of success in quitting by up to four times. For those smokers not ready to make that commitment yet, PHE supports the approach set out in the NICE Public Health Guidance on tobacco harm reduction. This involves starting with something that feels more achievable and which may then lead them to stop completely. Increasing numbers of people are turning to electronic cigarettes – more accurately described as nicotine vapourisers – as an aid to quitting or cutting down their smoking. According to the latest YouGov survey commissioned by ASH (Action on Smoking and Health), use among adults in Great Britain has tripled in the last two years to 2.1 million. At the same time, Professor Robert West’s Smoking Toolkit Study shows quit attempts are up, success in quitting is up and smoking rates are down. With almost one smoker in five choosing e-cigarettes there are clearly opportunities, but there are also risks we must guard against. We need to develop an appropriate response that is firmly rooted in the evidence. E-cigarettes haven’t been around for very long, so no reliable long-term studies of the risks they represent are available. The current diversity of unlicensed e-cigarettes and the variability of their contents also presents a challenge. With the regulation we currently have, as consumer products, it is hard to give smokers the reassurance they need about how safe e-cigarettes are or how effectively they deliver nicotine. For this reason we continue to recommend the use of licensed nicotine replacement therapies to support smokers to quit or cut down. However, from what is known about the vapour and its contents, it is never better for the health of a smoker or those around them to smoke tobacco rather than use even an unlicensed e-cigarette. E-cigarettes, despite appearances, are not cigarettes and do not produce smoke. It is the smoke, not the nicotine, that causes the vast bulk of the harm. Recent analysis led by Professor David Nutt on the relative harms of tobacco and nicotine containing products demonstrates a stark contrast between the harm from cigarettes and from e-cigarettes. Relative harms of nicotine products. PHE supports the regulation by the MHRA of nicotine-containing products – including e-cigarettes – as medicines, to give people access to safe products that are also effective. Previous evidence suggested that e-cigarettes were as effective in helping smokers to quit as nicotine replacement therapy. Professor Robert West’s latest study, published yesterday in Addiction, suggests that they are more effective. However, the nicotine delivered by these products is highly variable. Without reliable standards, smokers may find their attempts to cut down or quit undermined by products which fail to reduce nicotine withdrawal adequately. Another significant area of concern relates to the potential impact on children and young people. Current evidence of use by young people in the UK does not support the hypothesis that e-cigarettes are acting as a gateway into smoking. The number of children and young people regularly using e-cigarettes remains small and their use is almost exclusively by current or ex-smokers. These findings accord with those from other international studies, but research in this area is limited and we must remain vigilant as further evidence emerges. We look forward to collating local data from across England and we will shortly publish the results of a programme of e-cigarette test purchasing by young people, undertaken in partnership with Trading Standards. Marketing of e-cigarettes is extensive and growing. Effective regulation is essential to ensure that advertising and promotion of e-cigarettes acts to denormalise rather than renormalise smoking, by positioning the product clearly as a replacement for smoking. PHE recently responded to the ASA/CAP consultation on the advertising and promotion of these products, clearly advocating that rules should be in place to ensure they are not advertised in a way that appeals to young people. Another aspect of the renormalisation/denormalisation debate is the use of e-cigarettes in work and public places. Does use of these products in places that are smokefree have the potential to renormalise smoking behaviour? What about potential harm from passive inhalation of vapour? Do we risk undermining vapers’ attempts to quit smoking by directing them to the smoking areas? 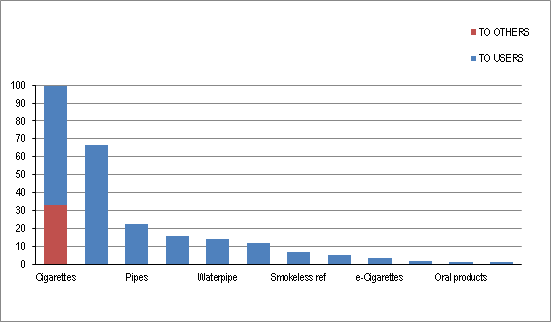 These are all issues that have been raised, including in the CIEH/ASH briefing "Will you permit or prohibit e-cigarette use on your premises?" Last week PHE published two independent evidence papers commissioned from leading academics Professor John Britton (University of Nottingham) and Professor Linda Bauld (University of Stirling) to examine the current evidence on e-cigarettes. We also held a national symposium in London, ‘Electronic cigarettes and tobacco harm reduction’, bringing together senior public health leaders to hear the evidence, discuss the issues and identify areas of consensus to inform future action. We were pleased also to welcome representatives of the vaping community to join the discussions. All of the issues above were discussed at the symposium. The feeling at the end of a lively day of debate was that, while there is a lot of work to be done to address and manage the current concerns, most of us are ‘on the same page’ and all are agreed on the need for active and ongoing research and surveillance to assess the individual and population impact of e-cigarettes as use and technologies develop. We need to keep an eye on new research and go where the evidence leads us. This is the beginning of an ongoing dialogue with a wide range of individuals and organisations as we develop our policy and action: I look forward to it. One of the key attractions of NVs is the choice of design,power,flavour and concentration.It is estimated that there are up to 5,000 unique products currently available. Please do read these minutes in relation to the TPD - NRT manufacturers estimating the cost of a medicinal licence.The MHRA's 'right touch' effectively only removes the need for the Phase 3 'efficacy' trial which the NRT manufacturers estimate will bring the cost down from $10m to $5m and the time for approval from 4.5 years to 2.5 years. So far, the DH,MHRA and PH/TC have shied away from assessing the impact of their preferred regulatory option on the current market - it is not difficult to see why.Medicines regulation is designed for one (or just a few) products per 'problem'.Time and cost are not 'of the essence'. When you say "PHE supports the regulation by the MHRA of nicotine-containing products – including e-cigarettes – as medicines" do you mean you would wish to see all e-cigarettes regulated by the MHRA? Whilst there may indeed be smokers who require the assurances that a medicinal authorisation implies, there are still more (and I would argue that they are a majority) who would prefer not to be labelled as patients and who value the variety and innovation that only a recreational consumer market can offer. Regulation by the MHRA will result in bland, commoditised products which hold no appeal for smokers. Of course the medicinal licencing route should be open to those companies who would like their products to be available to the NHS, but to force the entire industry down this route would destroy it and cost lives. All that is needed is proportionate regulation of quality and safety to consumer product standards together with some regulation of marketing to ensure that non smokers, including the young, are not targeted. Good question Sarah. PHE will only be able to recommend MHRA licenced products, but there will be a “twin track” approach which could work to the benefit of vapers and public health (which amounts to the same thing). The twin track approach will allow “medicinal” vapourisers to be advertised and sold as widely as NRT, that includes corner shops and petrol stations. Vapourisers regulated under TPD will be capped for strength and will not have the safety guarantees, but will allow variety and innovation. The option for consumers and producers to go for “consumer regulation” should impose a good discipline on the regulators themselves to keep the systems flexible and products attractive. Your are correct, but only partially. The TPD not only sets the maximum nicotine level so low that many heavy smokers won't get enough to switch to commercial products. They strangle innovation and variety with lots of (expensive) red tape. Most of the modern good devices will either fail to comply or must be crippled to uselessness. And while the requirements (extensive toxicological analysis) for each product variation will be far less than with a medicinal licence, it's still impossible to keep the current plethora of liquids and devices available. Only the big tobacco companies with their cig-a-like junk will pass almost unscathed. When they clobbered together this killer piece behind the closed doors of the trialogue, they simply ignored all the scientists who tried to correct their misconceptions. Our last chance to get a sensible, science based regulation lies now with the European Citizens Initative EFVI (see my "Website"). This is not "yet another online petition". It is the heavy brigade. We need one million verified signatures. But this would force the Commission and Parliament to at least listen to reason. Whilst I appreciate your point regarding the twin track approach encouraging the regulators (by which I assume you mean the medicines regulators) to maintain a flexible approach, the TPD, if implemented strictly, will create such huge barriers to market for the current industry that it will all but disappear. No doubt the large cigalike manufacturers including the transnational tobacco companies will have little difficulty finding the costs of regulation for their very limited range of disposable or prefilled cartridge based products, but it is unlikely that a fraction of the rest of the market will survive. The sector which will be lost is the very sector which supplies the majority of total switchers. In addition to the above, I understand that only two medicinal authorisations have been applied for, both by subsidiaries of BAT, and neither of them are a refillable tank based system of the sort preferred by dedicated vapers. In regulatory terms 2016 really isn't very far away and it appears that the over 20mg/ml medicinal product range will be severely limited. With no viable competition from the consumer market it will remain so. In terms of public health this will be nothing short of a disaster. Will PHE make a commitment to work with the vaping community, and use its influence to assist in ensuring that this does not happen? Hi Sarah. It’s very clear that both vapers and public health professionals want the same thing – to reduce the serious harm caused by tobacco. We hope this is the beginning of productive engagement on this issue. As a member state of the EU the UK must abide by TPD. Therefore the choice we face now is TPD plus medicines regulations, or TPD alone. I can assure you, PHE will be working hard to encourage a real choice of safe and effective products made widely available to meet the needs of people trying to cut down or quit. Kevin - if we press ahead with either TPD alone, or (God forbid) TPD plus medicines, you can rest assured that this will kill people and I will be one of the many thousands that will be forced back to tobacco. Is this what you really want? Please think of the unintended consequences of these actions. Listen to the people that this will affect. We have found a way out of smoking. It doesn't need fixed - it actually works very well as it stands. If it ain't broke, then don't try to fix it. Most of all, please don't force me into an early grave. "However, the nicotine delivered by these products is highly variable. Without reliable standards, smokers may find their attempts to cut down or quit undermined by products which fail to reduce nicotine withdrawal adequately." The reality of anyone who either smokes or uses an e-cig is that they use both in a variable manner so the actual nicotine delivered to the user is self controlled. If the nicotine delivered is low than they will either smoke or vape more to obtain the necessary "personal" satisfactory nicotine level to appease their nicotine craving. It's like drinking a 250 ml glass of water - with high nicotine delivery you only use one 250 ml glass, but with a lower nicotine delivery you may require two smaller 125 ml glasses to reach the 250 ml level of satisfaction. The total quantity will nevertheless be the same. We must also appreciate that e-cigs are effective replacements for tobacco cigarettes and there is no restrictions on the user to how quickly or slowly he smokes or how many he smokes e.g. one person may smoke a cigarette every hour, whereas another may actually chain smoke. It surely misses the point about what e-cigs are to make comparisons and compare e-cigs with any medical regulated requirements such as regulated delivery in terms of regulated dosage or nicotine delivery, as e-cigarettes are not medically regulated but seen by most users as simply an alternative to tobacco cigarettes where the user controls his/her own nicotine levels. If he wants a higher nicotine level than he/she will either smoke/vape more or alternatively use an increased nicotine strength of product. It is reassuring to hear that PHE will go where the evidence leads you. This is clearly not what is happening in some other countries where policy seems to be made on the basis of the latest media headline. The TPD sets out a twin track approach to regulation which, given the accumulating evidence, looks more and more unfit for purpose. It would be a public health disaster if UK regulation from 2016 consisted of full medicines regulation for all vapour products. The ASH findings of 700k people using e-cigarettes to successfully switch from smoking has been achieved under existing consumer regulation at no cost to the taxpayer and, to date, no harm has been recorded to one person using an e-cigarette for its intended purpose. So far, the other public health concerns (renormalisation, gateway effect, use by minors, etc) have yet to materialise in the data. To avoid sacrificing the prize of a smokefree generation, should not the regulatory regime be one of 'wait and see'? By all means set up the regulatory framework so that it can be implemented quickly if needed, together with the surveillance systems to monitor the impact of theses devices. However, apart from some strengthening of existing consumer regulation, the sensible approach surely is to let the revolution happen without getting in the way. I am curious about three things. First, some of the comments (eg, from Roger) suggest to me that e-cig users who have switched from tobacco smoking are not interested in ending their nicotine dependence but would just prefer a 'cleaner' nicotine delivery system. Is this correct -- that the desire to break the powerful addiction to nicotine just isn't there? Second, no product can rely on a business model which relies on an ever-shrinking customer base (ie, current smokers); it must be assumed that new users must be attracted to the product for the industry to remain viable. 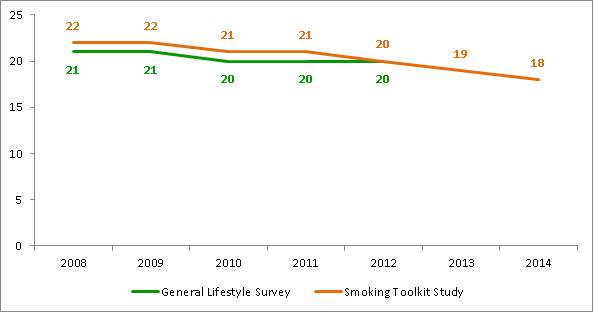 This suggests that marketing will be designed to attract non-smokers, including young people. Third, there are some countries where e-cigs with nicotine are currently prohibited. On what criteria might they base a decision about reversing this policy? 1) I can confirm your impression. I never intended to quit anything. When I tried ecigs it was pure curiosity after a wave of absurd scaremongering washed through the media. My main reason to switch: They taste so much better and still provide enough nicotine. That was 2 years ago. After 30+ years of smoking 2 packs a day. My health has improved measurably since then. But I would still prefer vaping, even if the health benefits were negligible. When I was smoking, an hour without cigarette would see me ready to crawl the walls. Recently I was at an event where I couldn't vape for more than two hours (tobacco control conference @ DKFZ in Heidelberg, Germany). Guess what: I was feeling only slightly uncomfortable. BIG change. Besides the mostly useless standard junk the tobacco companies try to swamp the market with, this is (still) teeming with innovations and new variations by hundreds of small businesses. The better replaces the good. And liquids are like perfumes. There is something for each taste and new combinations are created constantly. Only big tobacco with their standard stuff will need to recruit "fresh meat". The innovative manufacturers can depend on existing vapers as steady customers. And there is still a vast base of potential new customers (aka. smokers). That is enough for years to come. 3) Reasons to ban ecigs? Governments missing taxes on tobacco. Tobacco companies missing sales of cigarettes. Pharma companies missing sales of useless NRTs and fear for their future sales of COPD and cancer treatments. And they all have their greedy fingers in the regulation pie. Long-term consumption of pure nicotine has no clinical significance, and will almost certainly eventually be found to be less harmful than coffee consumption, on a volume-comparable basis. After all, roasted coffee contains around 1,000 compounds and of the less than 30 that have been tested, more than half are carcinogenic; and recent studies of the effect of coffee on health have revealed some rather nasty results. Are you suggesting that people should be forced to give up coffee? These things are an individual choice, not the responsibility of the state. Ecigs only contain trace quantities of carcinogens, identical to the quantities found in NRTs, at levels at least 1,000 times lower than conceivably harmful to health. Ecigs cannot cause cancer, heart disease or any form of CVD, so what exactly is the problem? A proportion of the population, which appears to be around 20%, will always require dietary nicotine supplementation. This is not a difficult concept to grasp. All large-scale clinical trials (the most recent was of 800 persons) show that nicotine is present in the diet, is consumed by all, and is present and measurable in all (or at least those that have a proper diet). Nicotine has a demonstrable role to play in cognitive function, protecting against auto-immune disease, and protecting against or improving symptoms of other diseases such as Alzheimers and Parkinsons; as diets progressively worsen, such issues will become greater. One form of nicotine is a vitamin: nicotinic acid, vitamin B3 ('niacin'). Nicotine may be allocated a B vitamin number at some point, when the taboo is sufficiently reduced. You feed your baby nicotine in her mashed-up vegetables, and it would be extremely unwise not to. 1. Vapers can, and do, enjoy nicotine as a recreational drug, much as many people do with caffeine (in tea, coffee, and soft drinks) and alcohol. 2. The business model works fine. Dedicated Vapers become very interested in the technology and equipment choices and different types of ejuice (nicotine liquid). Simply, it becomes a hobby for many, hence the vibrant community that is in existence and growing all the time. There is plenty of opportunity for businesses to service this market with new innovations, etc., (providing it is not choked off by over-regulation). It's repeat business, not just new growth that's important. The children do not even enter the equation. 3. With reference back to 1. above, John Britton has compared nicotine to caffeine in respect of its effects on the human body at the dose that achieves the desired effects. Surely the countries involved that have banned nicotine, need only look at the evidence that nicotine is not harmful in the dosage used in e-cigarettes and, increasingly, at the emerging evidence that nicotine is not as addictive when consumed in non-combustible form. Regulation is definitely the way to go. By 2016, when the most desirable devices and and most popular liquids are effectively banned as the UK adopts the EU TPD, there will be upwards of 3 million vapers in the UK, most of whom will, after many years of smoking, have switched to ecigs, which they consider a miracle invention. Will bans and regulations actually be enforceable? I don't think much thought has been given to this. Ecig vaper dissipates in around 8 seconds and, unlike a cigarette, an ecig doesn't burn a hole in your pocket. It is difficult to nail a vaper without draconian stop and search measures. A year's supply of 72 mg/ml nicotine concentrate, which can be diluted to get the required strength, amounts to at most 400ml. Does HMRC have the resources to check every parcel arriving in the country and every soft drink and shampoo bottle arriving on Eurostar? If PHE was truly interested in helping smokers quit smoking, it would never support MHRA regulation of e-cigs, and it would urge all smokers to try experimenting with different e-cig products ASAP. Then again, if PHE was truly interested in helping smokers quit smoking, it would have been urging smokers to switch to vaping for the past five years (as the evidence of e-cigs many health benefits for smokers became obvious). MHRA regulation of e-cigs, like the recently proposed US FDA regulation for e-cigs, would ban >99% of e-cig products currently on the market, give the entire legal e-cig industry to Big Tobacco companies (and perhaps one or two large e-cig companies), and threaten the lives of most vapers and all smokers. All real public health advocates strongly support e-cigs for smokers. The unethical and inhumane selfish special interests that have and continue opposing, demonizing and trying to ban lifesaving e-cigs have been committing public health malpractice on truly massive scale (threatening the lives of hundreds of millions of smokers), and should be held accountable (in both civil and criminal courts) for their egregious actions against humanity. Perhaps Kevin can explain why he wants the UK MHRA (by banning nearly all of the most effective smoking cessation products ever) to protect cigarette markets from competition by far less hazardous smokefree e-cigs, give the existing e-cig industry to the larges tobacco companies, and threaten the lives of millions of vapers and smokers. documenting the rapidly growing mountain of scientific and empirical evidence on the many health benefits of e-cigs (and smokeless tobacco, which the EU banned due to nearly identical false and misleading fear mongering claims by the same prohibitionists and Big Pharma front groups that have been campaigning to ban and demonize e-cigs). Has Public Health England received any funding from any drug company(ies) that market MHRA approved smoking cessation products? Very few of the hundreds (probably thousands) of e-cig prohibitionists and propagandists (including many health and medical organizations, researchers, consultants and so-called "smoking cessation" and "public health" experts) that have received massive drug industry funding have ethically disclosed their selfish financial conflicts of interest that render them as nothing more than Big Pharma front groups. For disclosure, neither I nor Smokefree Pennsylvania have ever received any funding from any tobacco, drug or e-cig company or trade association. features a device which will be banned when the UK adopts the EU Tobacco Products Directive in 2016. The tank containing the liquid is a Smoketech Trophy tank, the capacity of which is 5ml. The TPD limits tank and cartridge capacity to 2ml. Even a 2ml tank of the same design would be banned. The TPD bans all tanks and cartridges which can't be filled without the possibility of leakage. This includes every tank currently on the market and probably every cartridge. This was a roundabout way of banning refillables - that's what Pharma and Tobacco lobbying buys you at the EU. All that will be left are the disposables - the "printer ink" business model - in which the tobacco companies are currently investing and which vaping enthusiasts have little to do with. The NHS recently trumpeted its "flagship" stop smoking services had achieved 147,000 successful quitters over 10 years with licensed products and services, at a substantial cost to the taxpayer. Ecigs, according to ASH and others, a consumer product, unlicensed, and with no cost to the taxpayer, achieved 700,000 ex-smokers in only three years. How much more needs to be said? Other than, of course, that in two years, the very products that have created such a massive sea-change will be rendered illegal by the TPD, and what could be the most effective and substantial Public Health dividend and prize could be whipped away from the hands of the people that want - some would say need - it most! No doubt that stop smoking campaign is beneficial for our society, but we must take care of those who are addicted to this habit and wanted to quit, we should provide them a chance to quit and live healthier life but, it is not that easy as once it becomes a habit you can't quit it in one day, so the best option is to promote electronic cigarette as most of the survey suggest that it helps in quitting this habit, so can change this campaign to "Stop Tobacco Smoking" and government should implement some regulation so that sale of e-cigg become easy at the same time it should be away from the reach of the youngster. It seems to me that the official involvement in Ecigs is resulting in an all too familiar tendency to control, homogenize and repress - the message you should be getting is that people are happy controlling their own consumption levels of nicotine by already available delivery systems and routes - nicotine solutions, already regulated, are readily available to be imported by experienced vaping device users. Innovative devices are being produced by highly competent private craftsmen, and small companies. It is high time government public health officialdom understood the reality of Adults being capable of conducting their own lives without direction, censure or control. We do not need you to tell us what is 'suitable', what is appropriate to consume, we are quite aware of the options and it works just fine without you. A really great blog with a key message, evidence based position by Public Health England. I wondered if, as you stated young people in the blog, will there be a need to have to look, in addition children, to the wider marketing to other population groups too. Again, I do not know the evidence base on this, but it is just a thought in terms of people in disadvantaged communities/circusmtances for instance. Bets wishes and thank you for a great and measured blog. But somehow, in major countries people are still dying more because of gunshots that cigarettes. I loved your article, post more information like this! Great information in this Blog, very informative for people who want to read up on this subject. My husband used to smoke 40 a day. He is now an enthusiastic vaper and has bought kits to mix his own fruity cominations as he drops the nicotine towards zero. He is very pleased with his progress. BUT: I see that he is vaping much more frequently, and indoors in comfort, rather than sitting on our front step. AND I am having to use an inhaler because of breathing difficlties, and this has increased with his mixing experiments. I wonder what regukation there is for these kits? And what junk they are dumping into our home atmosphere? E-cigarettes are a healthy alternative to smoking. Vaping is far more safe than smoking. I smoked for over 65 years and traded e- cigarettes for "real" cigarettes in 3 days. In 1 year my breathing rate increased from 50% normal to 80% normal & I felt much healthier. In the past 3 years whilst I have lobbied strongly in favour of e-cigs, I do not agree with their prescription by NHS over long periods. I would suggest 3 months maximum would easily be sufficient time to allow "patients" to find out if, like me, their use would satisfy their desire for nicotine, & at the same time improve their lung function. In my opinion e-cigs are by far the most effective nicotine replacement therapy to date. They are effective because psychologically, you have not stopped smoking, but merely changed one cigarette for a much less harmful one. In terms of an effective nicotine replacement therapy I think electronic cigarettes are the way forward but as Terry mentioned you have in fact not actually stopped smoking. For electronic cigarettes to be successful in terms of kicking the habit completely I think it needs to be managed properly either by an outside professional or by going on a structured stopping plan where by the nicotine is slowly reduced until you are nicotine free. We give advice in our shop to clients on how they can slowly reduce their nicotine until they completely stop, I think treating electronic cigarettes as a tool for quitting smoking traditional cigarettes first and as a fashion accessory second is very important, even from a commercial perspective.